"Tajik-Uzbek relations are exacerbating again. The reason is the bomb strike, caused by Uzbek air force to the objects in Tajikistani territory. On the other hand, the escalation of conflict is not expected…"
This is not current news, but the piece of events, which took place in August of 1999. The Ferghana.Ru news line was launched by the republication of Moscow-based Kommersant news 10 years ago. At that time Ferghana.Ru was not full-scale information agency. This was amateur web-site that was made and edited by single person. In fact, the web-site of Ferghana society had been launched in RUnet one year earlier in the autumn of 1998. On July 23, 1999 the visitors were already able to access Ferghana.Ru. In August of 1999 "the Batken events" immediately made Ferghana valley known all over the world. Russian mass media was inundated with the reports about Central Asian countries that were, allegedly, forgotten by many. At that time Internet was not able to offer the resource that would accumulate information all across the region. Ferghana.Ru became such source, gaining popularity within several months. At first, our pages included daily news about the events in the region, republished on the basis of newspapers and information agencies. Later on, in the mid 2001 we started intensive development of the correspondent network in the countries of Central Asia and more and more relying on "own" reporters and stringers. On March 15, 2001 Ferghana.Ru won (hard to believe!) "Best foreign project about Uzbekistan" nomination at the Internet.Uz First National Forum of Uzbekistan in Tashkent. On September 25, 2001 our web-site was awarded the prize for "Best information resource about Uzbekistan" at the second Forum of UZnet. In August of 2001 "Ferghana.Ru information agency" was officially registered by Russian Ministry of Press as electronic periodic news agency. Ferghana.Ru attracted global attention during "March revolution" in Kyrgyzstan in 2005. At that time, in the first days of disturbances in southern Kyrgyzstan our agency was the only international mass media source, covering the events directly from the place of disturbances. 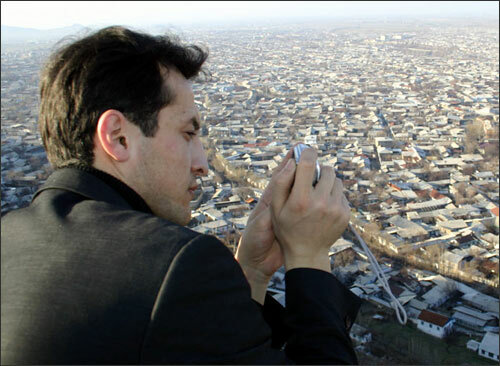 This is also when young journalist Alisher Saipov, shot by a killer in Osh (2007), started the cooperation with our agency. In ten years that have passed since the birthday of Ferghana.Ru news line we have published over five thousand opinion articles and about thirteen thousand news. Our news is covered in Russian, Uzbek and English languages. Ferghana.Ru news is regularly cited by such influential mass media as Lenta.Ru, Nezavisimaya gazeta, Ukraine Daily, InfoSCO, Polit.Ru, Deutsche Welle, Echo Moskvy, Vedomosti, Regnum, Strategic culture Foundation, Radio Liberty, Vremya novostei, RBK-daily, Open Democracy, Registan, Jamestown Foundation, Turkish Weekly, EurasiaNet and many other. Today, the Ferghana.Ru Moscow office employs highly professional editors, journalists and translators. The number of professional and influential experts and political scientists cooperate with our agency. The correspondent network covers Uzbekistan, Kyrgyzstan, Kazakhstan, Tajikistan, Turkmenistan as well as some regions of Russia. Our email newsletters are regularly being received by over 1800 subscribers. 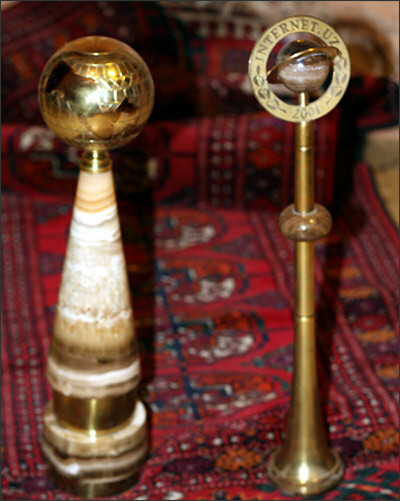 We also have Blog.Ferghana.Ru, the Gallery of unique pictures, as well as some special projects. We continue doing our job. We work for you, dear readers.